It may sound loony, but southern Minnesota needs a hand in providing a home for the state's official bird. Minnesota's loon population is stable at an estimated 4,800 breeding pairs, but their numbers are weaker in southern reaches. And a study from the National Audobon Society last year suggested loons could be pushed out of Minnesota altogether by 2080 as the state's lakes warm. Enter Biodiversity Research Institute, a Maine-based group leading a three-year effort to restore the black- and white-speckled bird in the southern part of the state. The Mankato Free Press reported nine more loon chicks will be released at Le Sueur County's Fish Lake — about 20 miles east of Mankato @mdash; by the end of fall. 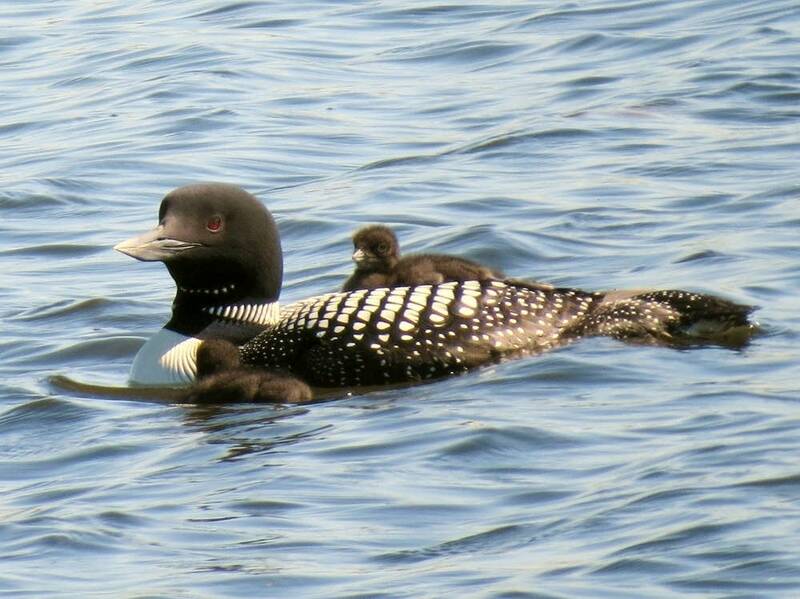 Loon chicks are taken from the northern lakes where they hatched after just eight weeks -- old enough to be raised by their parents, but young enough so they don't form an attachment to their birth lake. "The longer a young loon is with its adult, the more it picks up on the social behavior of loons," said James Paruk, a senior scientist with the institute. It's not a novel strategy. Chick relocation has worked to extend habitats for other birds, but researchers aren't sure how it will play out for loons; they don't believe they'll fly back to their birth lakes after heading south for winter. The group is at a midpoint of its three-year project that will transplant as many as 25 chicks to southern Minnesota, but the payoff so far is unknown. The fate of five chicks released last year is unclear; Paruk said he figures they headed to the Gulf Coast or the Mid-Atlantic and may return next year or in 2017. If they make it back, Paruk said he believes southern Minnesota's lakes can become the loons' permanent home -- at least for the summer.